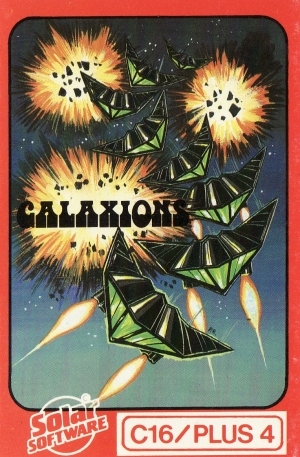 GALAXIONS. SOLAR SOFTWARE. The earth is being invaded by an alien force. 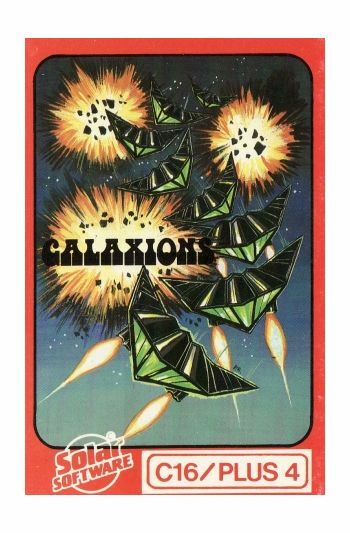 The GALAXIONS have arrived from a dying planet, determined to destroy civilization as we know it. They came in formation, swooping and diving towards the planet earth. You and you alone can save mankind from the terrifying destruction the aliens threaten us with.